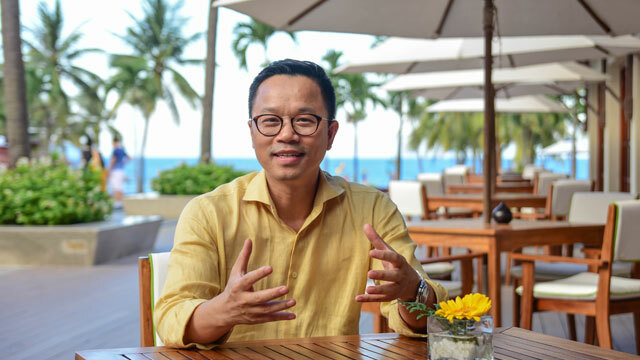 Mr. Nguyen Duc Quynh, PR and Communications Director at the Ariyana Joint Stock Company, tells VET why he believes the Ariyana Beach Resort and Suites Danang condotel project will be a hit. ■ When will the Ariyana JSC launch its Ariyana Beach Resort and Suites Danang condotel project? We will launch the project in the last quarter of this year, adding 1,000 rooms to the Da Nang market. ■ Why did Ariyana choose Da Nang for such a large-scale condotel project? Da Nang is developing new infrastructure and urban planning. Its airport is being expanded to double the present capacity to welcome 12 million passengers a year and we believe our project is being introduced at a good time. ■ There are many other condotel developments in Da Nang. What are the outstanding features of Ariyana Beach Resort and Suites Danang? It has a unique and sophisticated architectural design combining modern features with Oriental touches and is also located right next to the city center, by the beach, with all rooms facing the ocean. The southeast and northeast aspects of these rooms meet the “Feng Shui” principles considered important in Asia. The project also belongs to the five-star Ariyana Danang Tourism and Residential Complex. While other projects are designed for residential purposes, Ariyana’s construction rate is only 18 per cent of the land, focusing on resort real estate and profit for investors. We also take the design into consideration for the future operation of the resort by balancing between the larger and smaller condotels so it will be suitable for the hotel business, and this will be an advantage compared to properties that are more for residential condos. ■ What are your predications on the performance of condotels in Vietnam in 2017? As it is still in its early stages of development, Vietnam will certainly be a bright spot in the tourism industry. Because tourism is developing rapidly, and the perception of living is changing among Vietnamese people, they are now more willing to invest in a “second home”, balancing their work and relaxation and investing in their future too. Condotel projects, I think, actively and positively contribute to a stable society, drawing money from people’s “pockets” to the market. Condotel projects, when they become hotels or resorts, generate not only revenue from holidaymakers but also create more jobs. Furthermore, these projects can bring profits to individual investors when they take up a leasing agreement with a hotel management company, which also can ease social issues. In the near future, more condotels will be built. This will be a good sign for many cities and provinces but will not be so good for others. The success of the condotel business depends a great deal on infrastructure in provinces. ■ What are your expectations on the development and success of Ariyana Beach Resort and Suites Danang? As I mentioned above, infrastructure plays an important role in the success of condotel projects. In provinces that lack an international airport or other factors to attract tourists, especially international tourists, condotels will find it hard to fill vacant rooms. This will also lead to reducing the property’s value. For me, I believe Da Nang will be successful with condotel projects. Thanks to the support from local authorities, the tourism industry in the city is becoming increasingly developed and becoming one of the “most sought-after destinations” in Vietnam. Ariyana Beach Resort and Suites Danang, therefore, will benefit from this.